The Iglesia Ni Cristo (INC) on Thursday has once again denied that they were endorsing the candidacies of Davao City Mayor Rodrigo Duterte and Senator Bongbong Marcos Jr.
INC Spokesman Edwil Zabala told GMA News that there was no truth to the news report that they have already selected the candidates their group will support. “The claim that INC announced an endorsement through a circular read during a worship service by Executive Minister Brother Eduardo V. Manalo is inaccurate,” said Zabala. 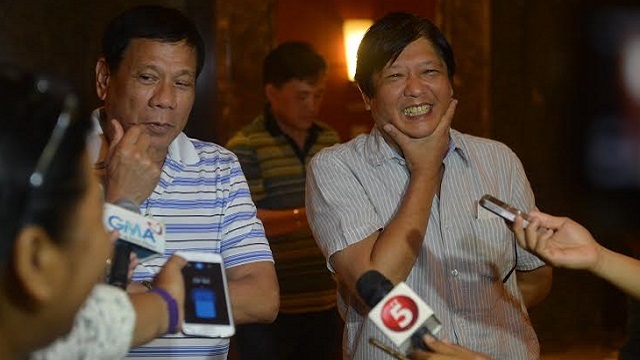 The Inquirer earlier reported that the INC has endorsed Duterte for president and Marcos for vice president amid rampant speculations regarding their choice. The report said the endorsement was issued through a circular distributed to their members during worship service on Wednesday night. - Leyte Rep. Martin Romualdez. This development gives President Benigno Aquino III a temporary moment of relief after he himself went to the INC this week in an apparent last ditch effort to swerve their religious top brass to endorse his anointed successor, Mar Roxas II. 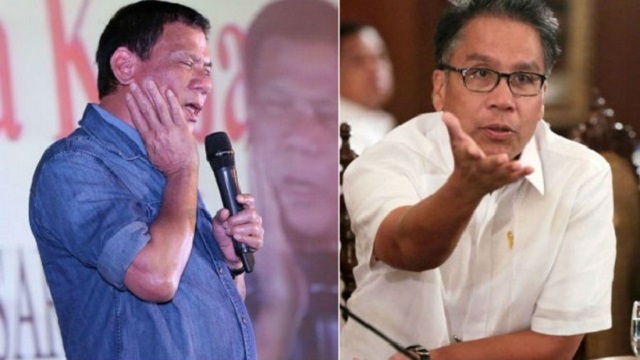 However, Roxas expressed confidence in winning the presidency without the INC’s bloc-voting which is estimated to bring in an easy two million votes to the candidates they support. In the latest Pulse Asia survey results, Duterte still leads with a 33 percent rating while Roxas climbed up to second with 22 percent. 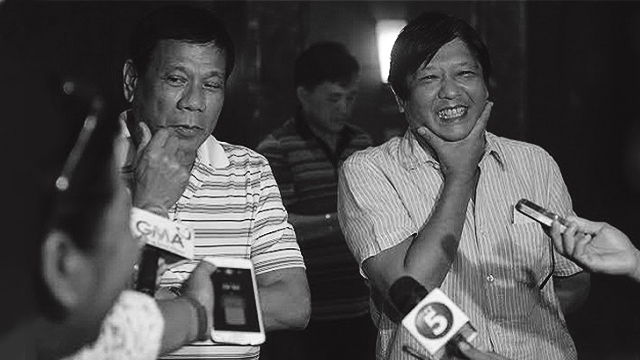 The former Interior secretary overtook Senator Grace Poe (21 percent). Roxas was previously statistically tied with Vice President Jejomar Binay, who now got 17 percent, while Senator Miriam Defensor-Santiago remained at the bottom with two percent.